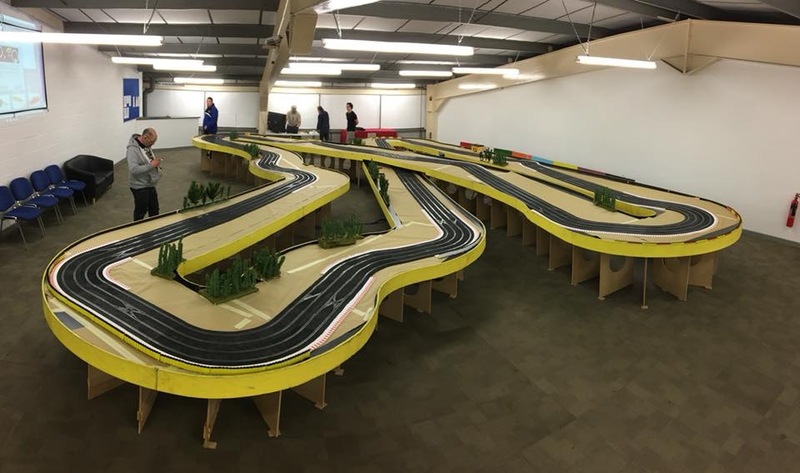 Rockingham Slot Car club hosted DiSCA GT3 Euroseries and WEC in a 6 hour event, using their National Slot Car Centre of Excellence BRSCA-specification raceway to build a massive Spa-Francorchamps themed digital track. 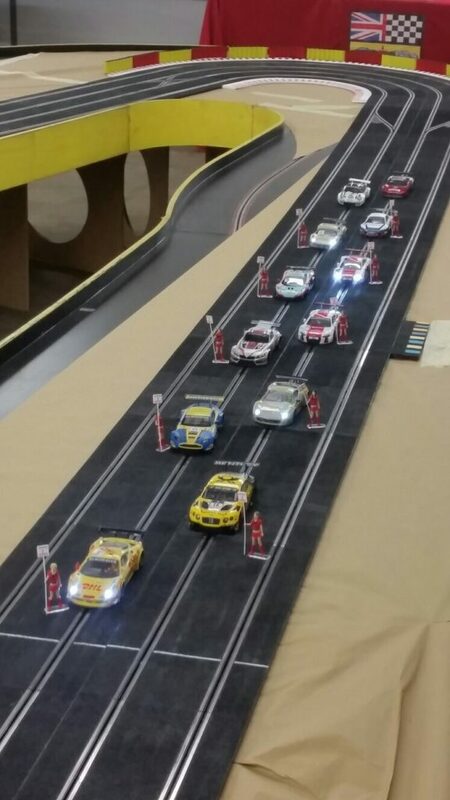 Saturday would the traditional 2 x 1hr races for the GT3 cars, while Sunday would see the WEC cars compete for the last time in 2017 in a 6 hour team event. The GT3 grid saw a healthy entry of 12 cars including the Dutch-entered Bentley Continental and a Belgian BMW Z4. Home squad Rockingham maintained their unbeatable form that they’ve held all season, drivers Matthew Tucker and Adam Le Maistre taking the pole position and racing on to complete a grand slam of victories. This gave their Ferrari 458 a season’s six from six from races in the UK. Seven cars formed the WEC grid. Joining the UK-based teams were the Racing for Belgium squad, who has successfully taken the overall win on debut at the Suzuka 6 hours, SRC Eindhoven, earlier in the year. 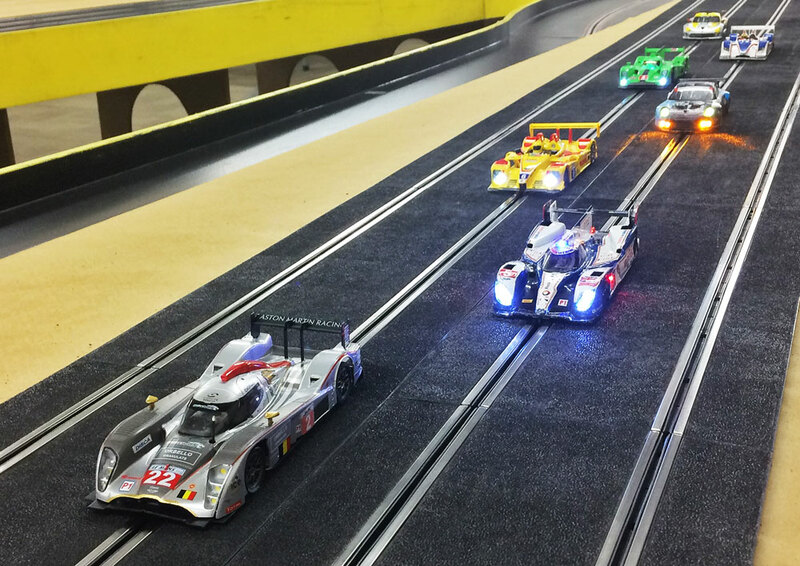 They would go on to repeat the victory, narrowly beating the home team in the LM P1 category by only half a lap after 6 hours racing. WEC grid. Racing for Belgium ahead of Rockingham. In LM P2 the battle was between H20lifer running the same Porsche Spyder that had faired well at Mega Monza and the Eastcote Acura that had won the P2 category at Suzuka. In GT, the DiSCA Proton Porsche 911 was going for a third win and fourth podium of the year up against the North Staffs entered SRT Viper. The Porsche demonstrated remarkable pace, maintaining lead of the race overall during the first hour and frequently mixing in with the fastest LM P1 cars on the high speed circuit configuration. Once again, John Soden was able to film the event and has produced this documentary, hosted on YouTube. ERROR: Error validating access token: Session has expired on Thursday, 04-Oct-18 08:02:04 PDT. The current time is Saturday, 20-Apr-19 17:52:42 PDT.